Land-based shark fishing is a rush. When you land a shark, it’s a great fight and it comes with an accomplished feeling. Whether it be a lemon shark, hammerhead, or black tip, this article will teach you how to set up a proven shark rig that will land you even hammerheads of up to 12 feet long. However, this rig is strictly for casting baits off the beach and targeting smaller sharks in the 6 foot range. Links include pricing info on Amazon. Or check out the long distance casting surf rods article for more options! 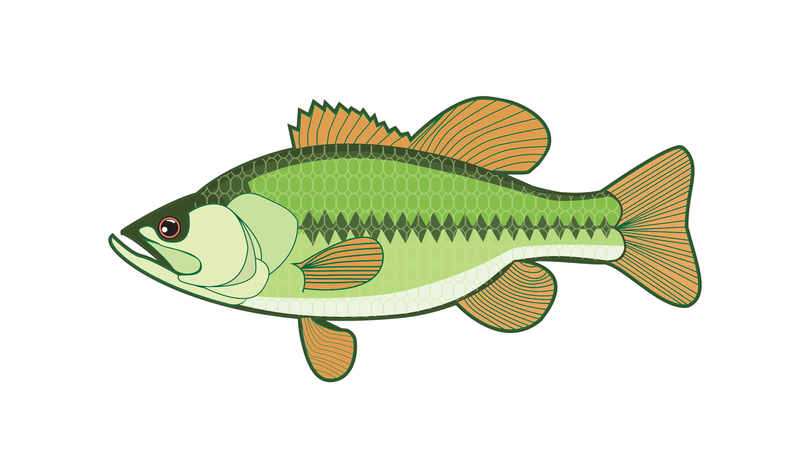 For bait, you can use anything that is found locally in the area. This shark rig works especially well when the bait is freshly caught. Bait fish should not be larger than the palm of your hand. Amberjack chunks, blue runner heads, ladyfish, mackerel are all going to work well. A word about the hook: A hook size of 7/0 is generally for surf casting gear, aimed at smaller sharks 6 feet or under, but this does not mean you can’t catch larger sharks or smaller. 7/0 is just what has been working well for me. A 10-12 foot rod is essential for get the bait out in the surf. Anything less than that will hinder how far you can cast the bait and therefore limiting your chances for catching a shark. Now, you need to attach the hook to the other end of the wire also using a haywire twist. You have now completed the leader portion of the rig. With this method, you avoid using any crimps or thimbles or any other expensive mechanisms. This is a typical bottom rig. You’ve essentially created a loop with the monofilament line. 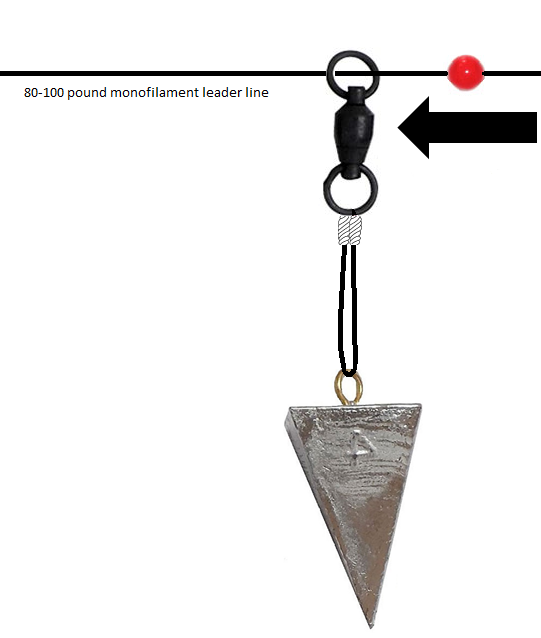 Attach the pyramid sinker to the monofilament loop setup by pinching the loop, feeding that through the sinker’s eye, and then run the sinker itself through the loop. Now the sinker should be securely attached to the swivel-monofilament portion. Cut another 3-4 feet of the 80-100 pounds monofilament line to be your leader. Slide on the sinker portion. Then, slide on a plastic bead after that. Take the wire portion of the rig and tie the leader line to the swivel using another uni knot. The sinker portion should be able to freely slide along the line. The purpose for the sliding weight is so that the shark does not feel the weight as it is taking the bait. This leads to a high percentage success rate when it comes to setting the hook. The last and final step is to attach the leader line with the sinker and hook portions onto the main line of your rod. 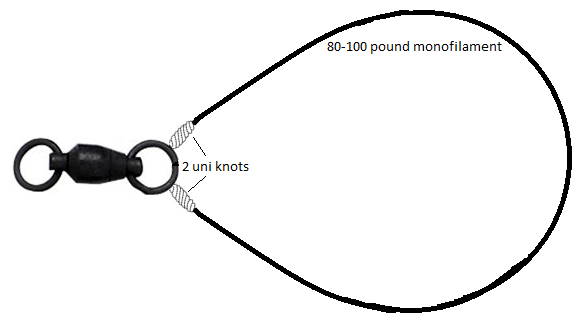 You can do this by tying the two fishing lines together using an uni to uni knot if your main line is monofilament or and FG knot if the main line is braid. And that’s it! Tight lines and happy fishing. If you are having success with this rig, let us know and rate it at the top of this article. Thanks! Don’t forget to check out the Pro Fishing Rigs store for more cool stuff!